Boyds, Md. 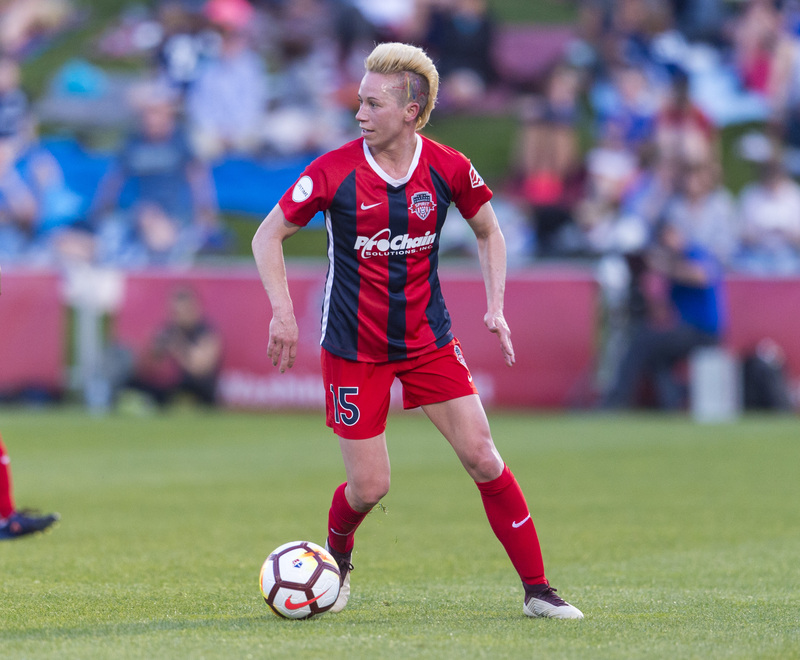 (April 6, 2019) – The Washington Spirit hosted collegiate side Virginia Tech at the Maryland SoccerPlex for their final preseason game before the beginning of the 2019 NWSL season, defeating the Hokies 1-0. The Spirit created early chances to put themselves ahead within the first few minutes of the match. In the second minute, Spirit forward Ashley Hatch saw a curling effort from outside the box swerve just outside the right post and out for a goal kick. Hatch created one more opportunity in the 4th minute after she connected with a cross, but sent the shot just over the ball. The Spirit offense was getting up-field effectively in the first half, firing five shots through 45 minutes. Washington’s defense flexed their muscles, not allowing a single Hokie shot in the entire half. Rookie defenders Tegan McGrady and Sam Staab put in strong performances, leading the Spirit backline and stifling Virginia Tech’s attackers. The second half saw the Spirit become more aggressive on the offensive end while maintaining their strong defensive dominance. Midfielder Meggie Dougherty Howard hit a rocket-shot on goal in the 49th minute, only for Virginia Tech goalkeeper Amanda McGlynn to make a spectacular fingertip save, pushing the ball over the crossbar. Five minutes later, midfielder Jordan DiBiasi made a run from the right side of the box, cut inside and sent a driven left-footed shot towards goal, but the attempt went just wide. After forward Arielle Ship won the Spirit a penalty in the 72nd minute but the Hokies kept the match scoreless after the keeper made a diving save on the ensuing Joanna Lohman penalty kick. Lohman once again nearly gave the Spirit the lead minutes later after connecting with an in-swinging Tori Huster corner kick, but the quick header smashed the crossbar and soared out for a goal-kick. Lohman finally found the back of the net in the 79th minute after striking a quick, low shot that deflected off the keeper and rolled into the back of the net, giving the Spirit a 1-0 lead. The lone Lohman goal proved to be the difference in the game as the scoreline remained the same after 90. The Spirit showed positives on both sides of the ball, attempting 19 shots while the lone VT shot attempt came off a free kick. In addition, the Spirit defense was well-organized, catching the Hokies offsides three times.